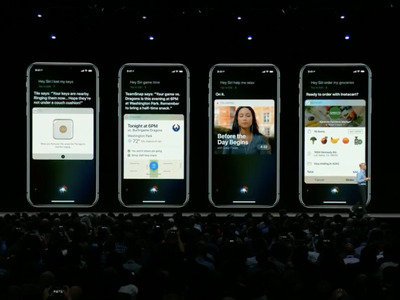 At Apple’s developer conference Monday, the company announced a new app, called Shortcuts, that will allow you to customise app actions and reminders using Siri. Shortcuts will team up with other apps on your smartphone to allow iPhone users to access apps and their functions from the lock screen. 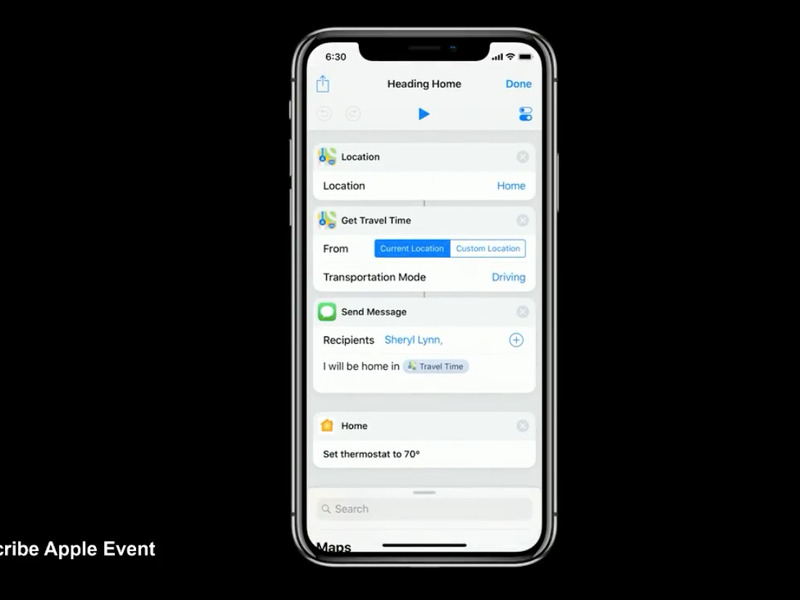 The tool will be included in iOS 12, due out this fall. Apple showed off a new trick for its Siri assistant on Monday, with a new tool that lets you essentially “program” the virtual assistant to do things that ordinarily would require you to poke around in various apps. 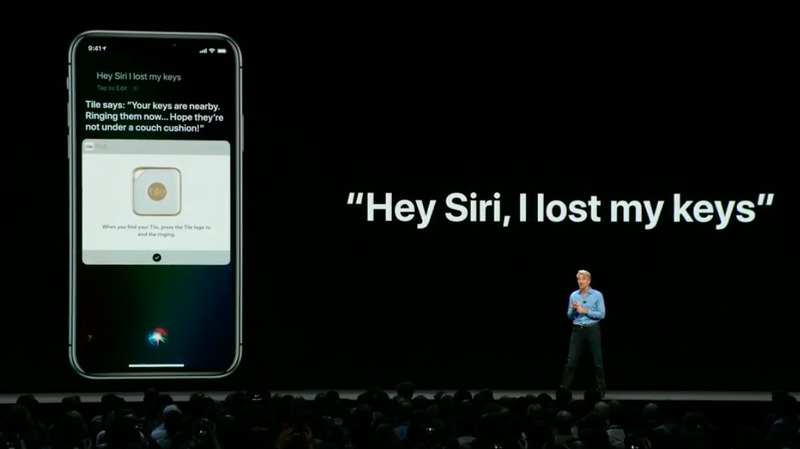 It’s called Shortcuts, and the idea is that you can tell Siri to do something for you – like ordering your morning coffee, finding your lost keys or making restaurant reservations – when you say customised trigger phrases. For example, you can add a shortcut that will alert Siri to find your keys via Bluetooth tracking service Tile simply by saying “Hey Siri, I lost my keys.” You’ll also be able to simply switch on shortcut settings for the apps of your choosing that will send reminders to your lock screen without having to send a voice prompt. 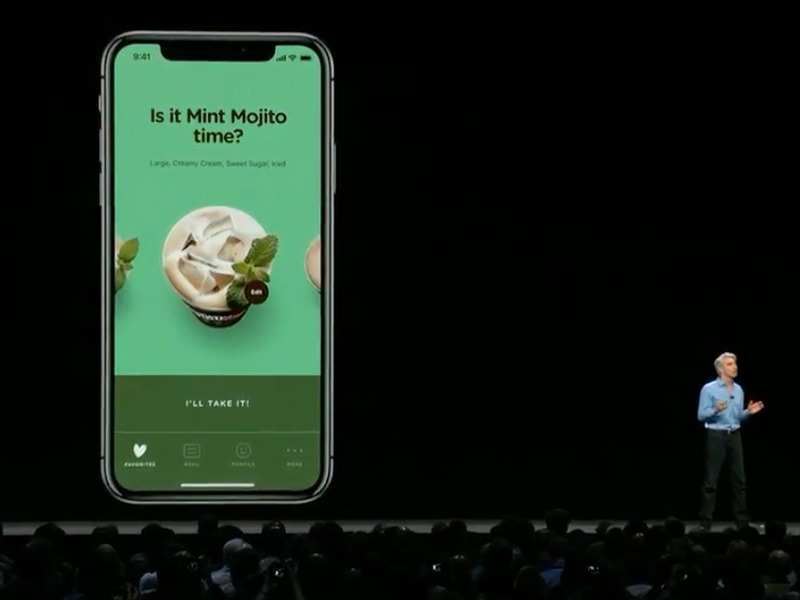 The feature will be included in the next version of iOS – iOS 12 – which Apple showcased at its annual developers conference on Monday. And with Siri increasingly looking behind the times compared to voice-based assistants like Amazon’s Alexa and Google’s Assistant, Shortcuts should make Siri much more useful to iPhone users and owners of the Apple Home smart speaker. 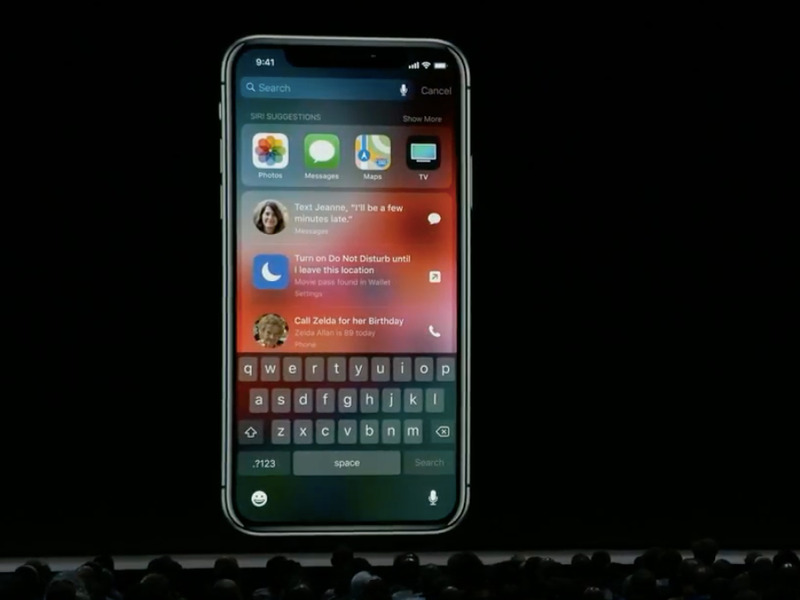 When Shortcuts goes live in iOS 12, the option to add a shortcut to Siri will appear in the apps you use on your iPhone. Apple will release a beta version of the updated operating system later this month. The final version is due out this fall. 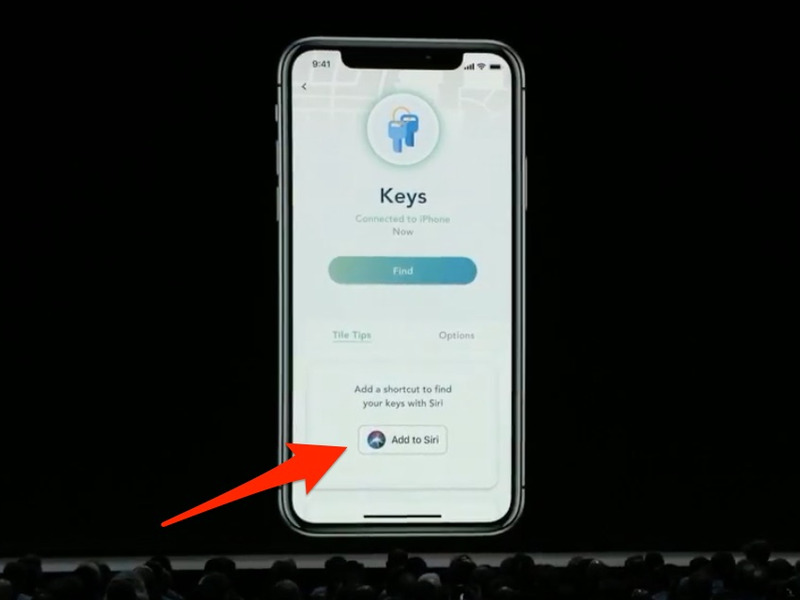 These shortcuts will appear on your lock screen and will allow you to use apps without having to enter them on your home screen. 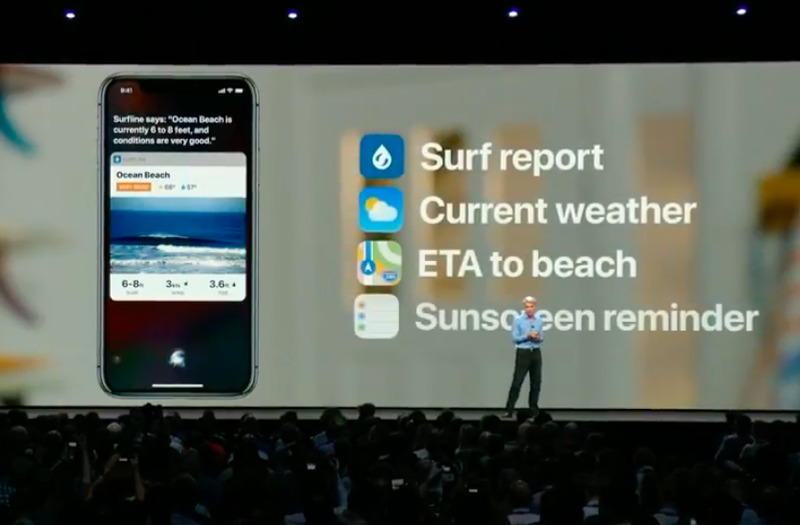 The idea is that you can add a shortcut to any app you use, making your day-to-day routines easier. An example used at the conference was to prompt Siri to alert the Bluetooth tracking app Tile when you’ve lost your keys. Just by giving a voice prompt and without having to navigate into the Tile app, Siri will alert the service to ping the device on your keys and help you find them. The feature can also make food and beverage orders a breeze. Siri will learn your usual orders from food apps, in this case a Mint Mojito coffee from Philz, and remind you on your lock screen to order a morning caffeine boost from your phone. 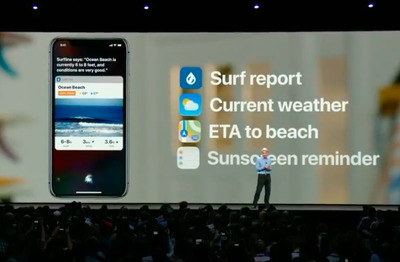 Similarly, you can program Siri to give you real time updates from apps to more efficiently and easily prep for activities. Another possible use of the feature is to create a shortcut for your travel plans. 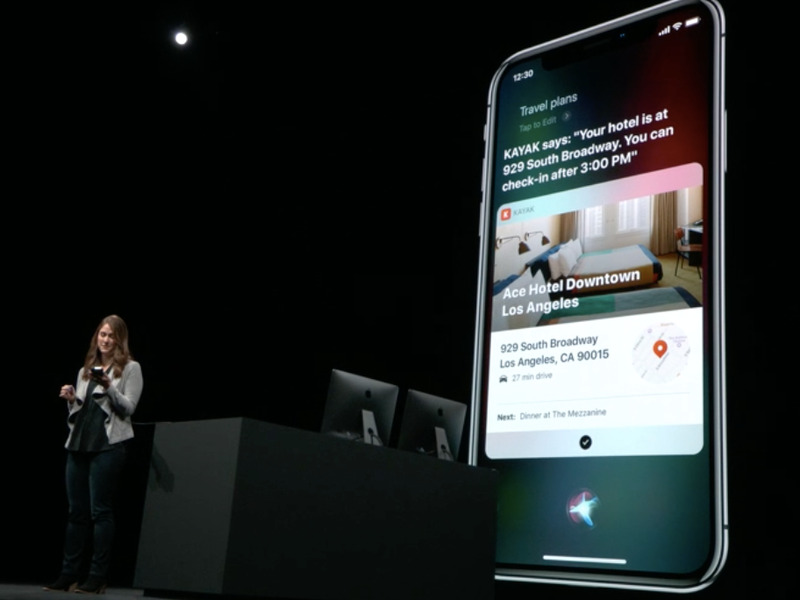 Instead of searching for your travel itinerary in various places on your phone, you can simply say “travel plans” and all of your information will pop up. 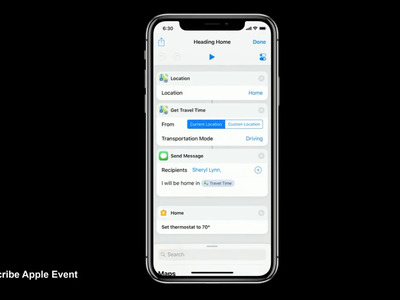 Siri also makes suggestions for actions you can shortcut, like reminding you to turn off your phone if Siri learns that you’re in a movie or calling a relative to wish them happy birthday. It looks like Shortcuts will be simple to use; within the Shortcuts editor, you’ll be able to drag and drop which apps to program reminders for. In an example used at the conference, a shortcut for a presenter’s commute home shows how the function will work. So a shortcut is basically just a group of steps that will activate when prompted by the iPhone user’s voice. 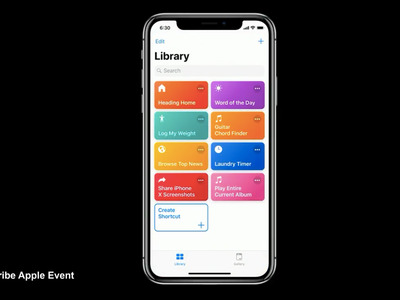 All the shortcuts you create will be housed in a library within the Shortcuts app. 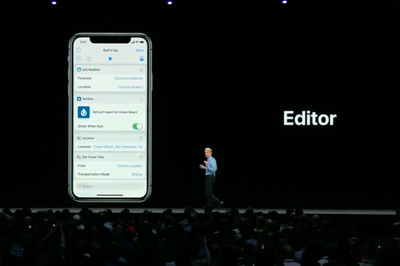 The app will also include a gallery of suggested pre-made shortcuts you can download like a Morning Routine shortcut, which reminds you when to leave based on morning travel time.